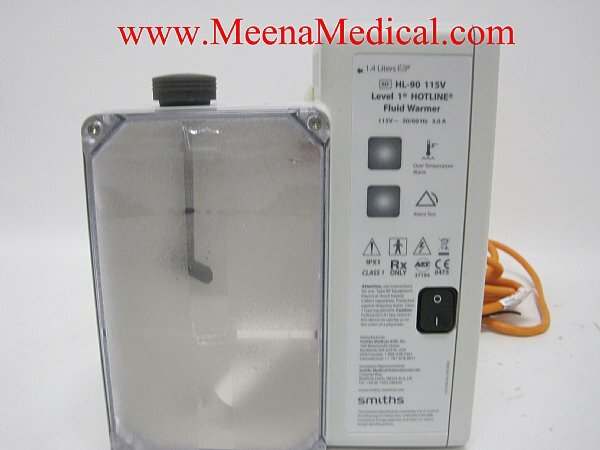 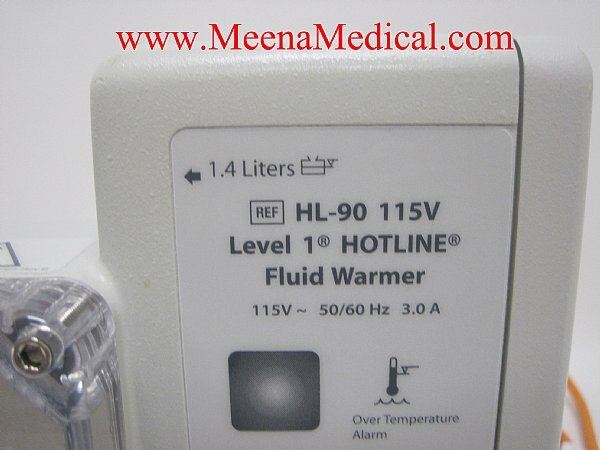 This Smiths Medical Hotline Fluid Warmer HL-90 is Preowned and in Good Condition. 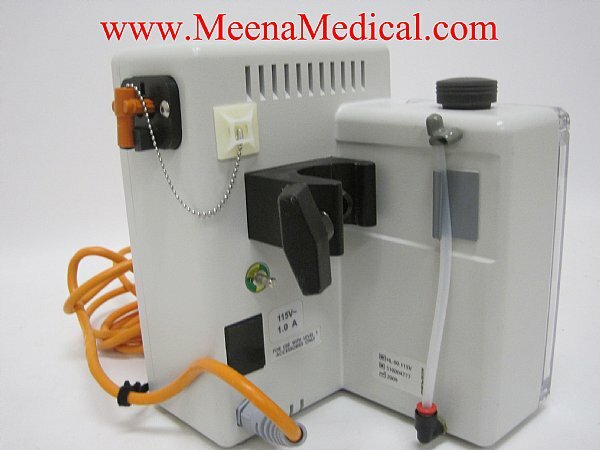 This unit is the newer model, with a draning tube included. 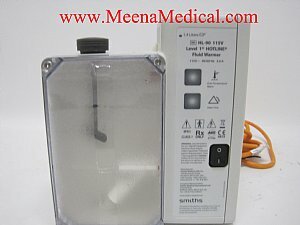 This unit functions as intended. 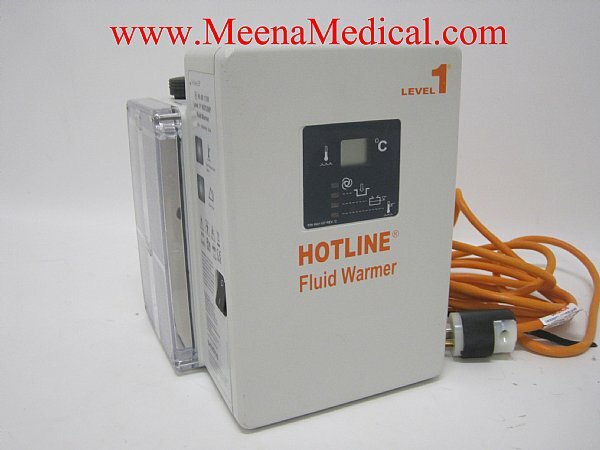 The HOTLINE Warmer delivers blood and intravenous fluid at normothermic temperatures by surrounding the sterile intravenous line with a layer of warmed recirculating solution. An onboard recirculating solution supply is heated to 41.5°C ± 0.5 and circulated through the outer lumen of the HOTLINE Fluid Warming Set, which surrounds the intravenous line. The HOTLINE Warmer employs a safe, recirculating solution heating system, inherently free of "hot spots,” to actively warm the patient line. 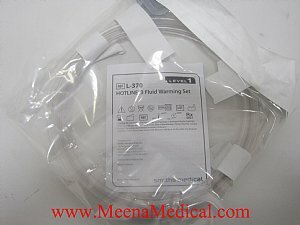 Electronic circuitry continuously monitors the recirculating solution temperature. The primary temperature control circuit limits the recirculating solution to 42°C maximum. In the unlikely event of a malfunction of this circuit, a second "watchdog” circuit will visually and audibly alarm and stop the recirculating solution pump if the temperature reaches 43°C. 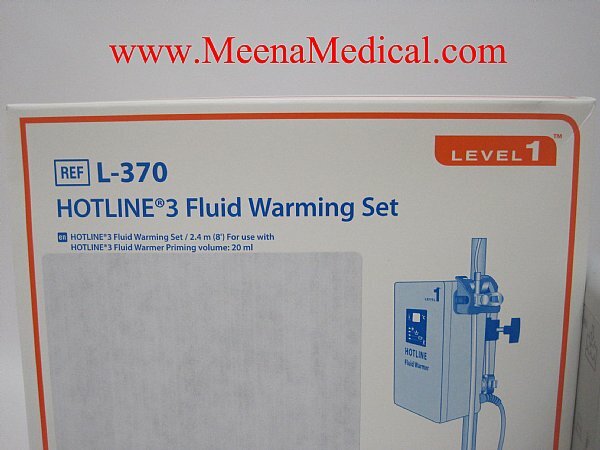 Fluid in the HOTLINE Fluid Warming Set is never exposed to any damaging or dangerous temperatures while the HOTLINE Warmer is operating.